Hilomast SuperFluid is recommeded for all Hilomast brand masts. 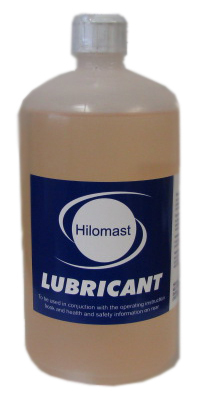 Hilomast SuperFluid provides Hilomast pneumatic masts with the proper lubrication and protection when applied correctly. Hilomast highly recommends that all pneumatic masts be lubricated with Hilomast SuperFluid as part of regularlly-scheduled maintenance regimen. Proper application of Hilomast SuperFluid will help prevent pneumatic masts from seizing and will improve the longevity of your Hilomast pneumatic mast. 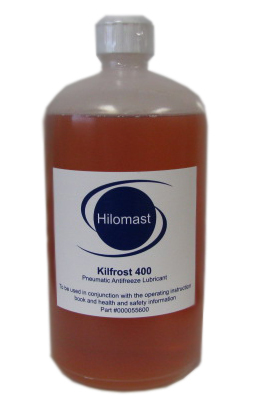 Hilomast Kilfrost is a unique lubricant formula for use in extreme cold temperatures. Hilomast Kilfrost is used to winterize your Hilomast pneumatic masts. Hilomast recommends, if a Hilomast pneumatic mast is going to be used in cold temperatures with the possibility of freezing, that the mast is properly maintained with HIlomast Kilfrost in order to help prevent seizing and mast damage.